Congratulations, you now possess the right mentality to become a Macintosh technician. Now you just need some free time, a Mac to tear into, and no one around to complain about it. But before you start taking stuff apart, here's some advice, from one Apple Certified Technician to a potential one. So you're ready to do your own repair on your Mac. First things first: Be ready for nothing to go perfectly the first time. 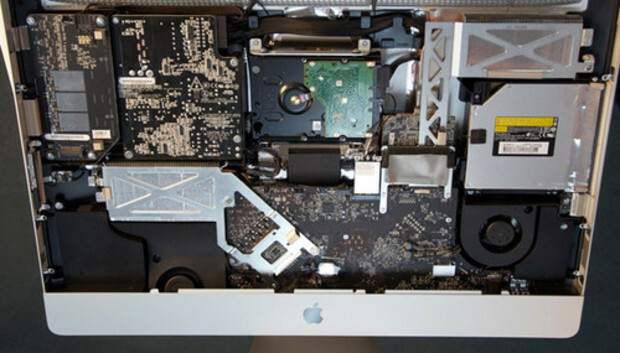 Open the case on your Mac and the circuitry that greets you is nothing short of daunting. You may accidentally damage a part and have to order a replacement, you may plug in a cable incorrectly, you might even lose a screw or two. It's OK, it's part of the learning process, so make sure you're practicing on a Mac that's lying around the house or no one happens to be working with in the near future. If you're feeling brave, throw caution to the wind, grab a driver and a wrist strap and dive right in. For everyone else who's daunted by working with expensive, precision, robotically-assembled components, YouTube videos and printed guides are great to have by your side. If, after you've poked around a few Macs, you feel like taking it to the next level, you can become Apple Certified. The good news: After June 23 of this year, Apple will discontinue its requirement to take the exams (the Apple Macintosh Service Certification Exam, the OS X 10.8 Mountain Lion Troubleshooting Exam, and the iOS Qualification Exam) on-site at assorted testing locations, and will offer the exams in an online-only format. For test takers, the online exams are more convenient and you don't have to go somewhere and be nervous as you sit down and take a test at a designated terminal. Also, current Apple Certified Macintosh Technician certifications do not need to be renewed on an annual basis.